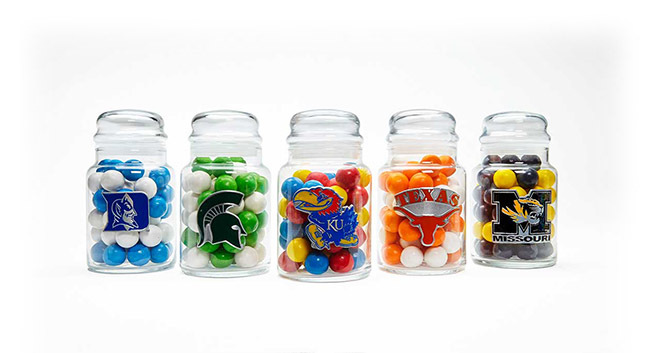 Perfect for the warmer weather, our summer selections include chocolate coated caramels, chocolate Jordan almonds, chocolate “rocks”, mixed nuts, jelly belly’s, assorted fruit candies, and caramel marshmallows. 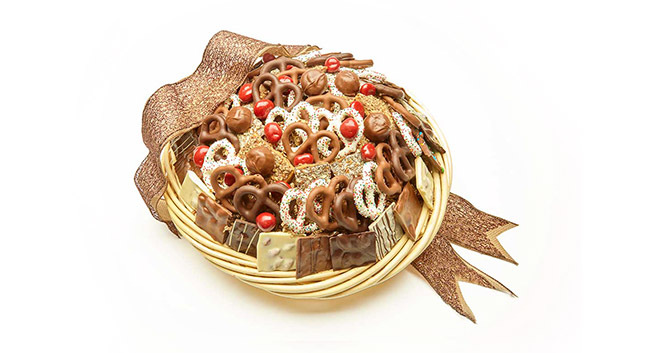 Unwrap a tempting selection of Goodies most popular candies, snacks and treats, including English toffee, chocolate covered pretzel twists and delicious savories. 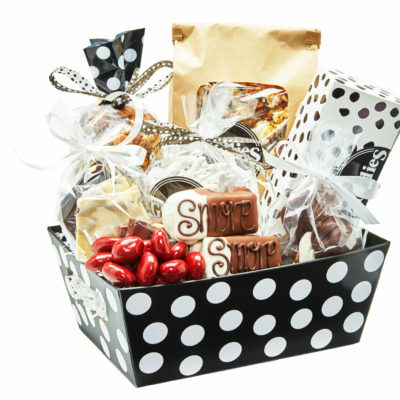 This gift basket is a favorite of our customers. 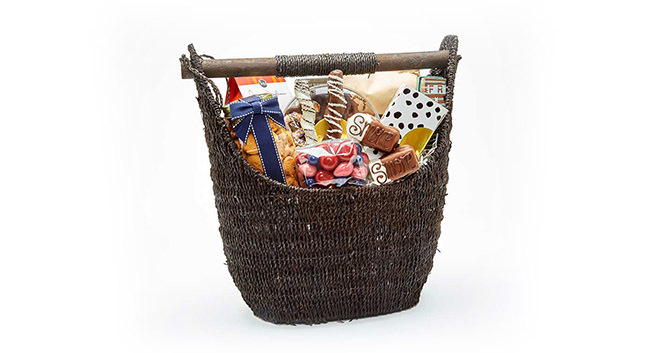 No matter what the occasion, this gift basket is sure to please. 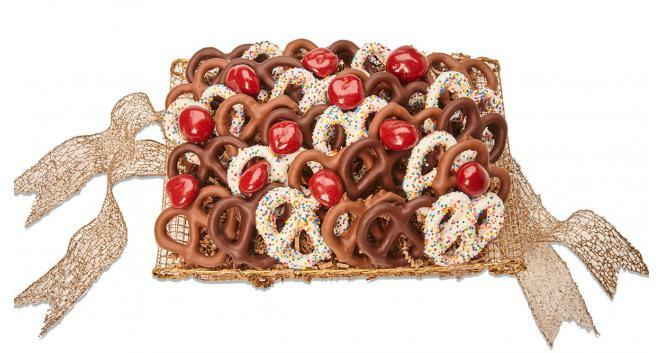 Our Pretzel Tray is an assortment of chocolate covered pretzel twists topped with chocolate cherries. 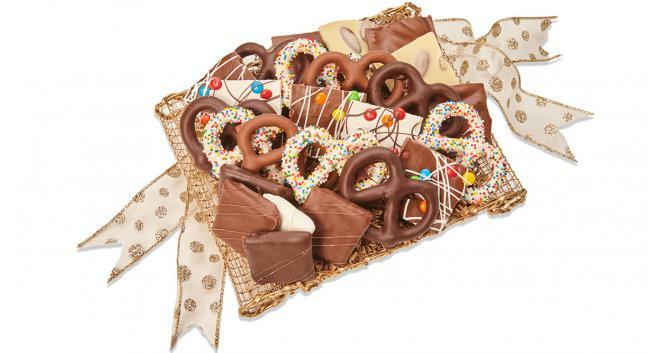 It’s presented on a gold mesh tray and finished with colorful ribbons. 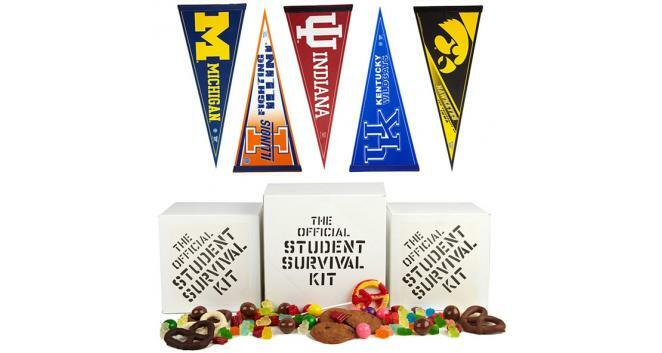 Satisfy your taste for sweet and salty with this gift for any occasion. 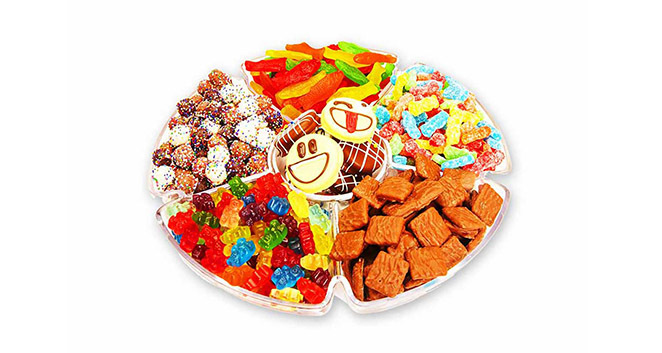 Candylicious, a unique twist on candy. 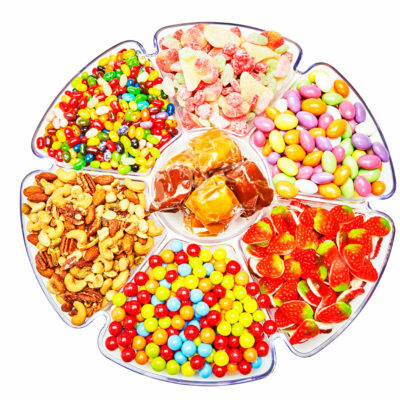 Try our acrylic tray loaded with a delicious selection of chocolates and gummies. 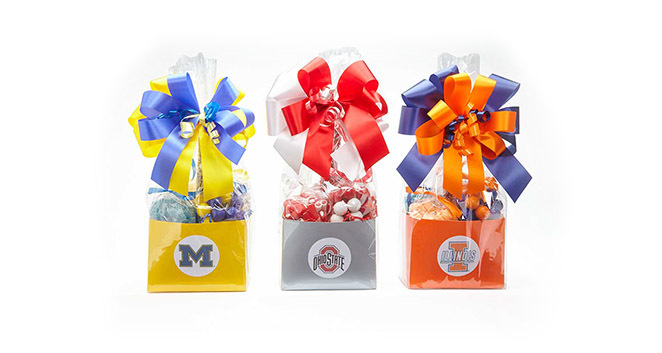 A colorful way to celebrate any occasion.